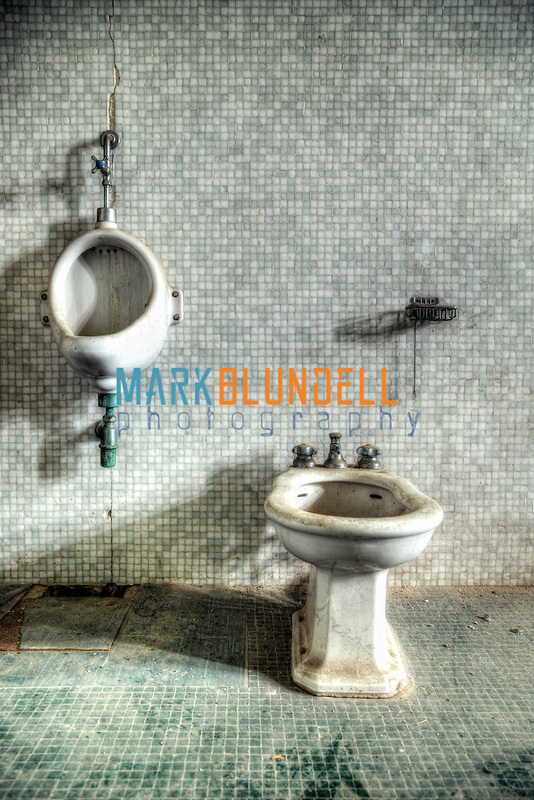 A lot of urbex photographers have a thing about taking shots of the toilets in abandoned locations. I’m not quite sure of why this is, maybe because its sometimes the only furniture that is left as its attached to the walls. Maybe because the white porcelain is quite photogenic or that it sometimes dates a location well due to the style. Here’s a small part of the WC at the hunting lodge, the whole room was pretty big with wardrobe and a bath with a fully tiled floor, quite impressive given the age of the building. This was a fairly straight forward image to process, the major difficulty that I had was trying to ensure that everything was parallel, the small square tiles really emphasised any small imperfection with the lens or me not having everything lined up very straight and central. I personally think there are not enough images with toilets in them! 🙂 All seriousness, great detail and light and shadow play here! I like ti a lot! Nice comp, Mark. I agree with Jim. . .need more toilets! Yeah cool shot, like it a lot.